My life-model is the Fool — the guy in the Tarot card stack who’s walking along cheerfully, heading off a cliff. That guy is my hero. He knows that it’s all one big iffy pile of ambiguity and he’s cheerful anyway. I can live like that, I am thinking. A while back, I developed a thing I call “The Fool’s Premises.” I’ve lived my life pretty much according to these premises and, hey, it’s been a lot good. I found that you can learn a lot from fools. I AM JUST ME AND THAT IS ENOUGH. It took me a long, long time to get to that one. For years I was always beating myself up because I was measuring who I am and what I am by standards set by other people. I never measured up to other people’s expectations and desires and wants and needs. I barely could keep myself from drowning in them all, running madly around trying to be everything to everybody. It didn’t work. And then, I decided, hey, I’m pretty good just as I am. Well…a funny thing happened. I was able to see where my strengths were, where my failings were and I could choose to use my strengths and compensate for the things I am not so good doing. It works okay. I am friends with myself now. It works better. I PLAY AND I HELP OTHER PEOPLE PLAY. Apparently there is some kind of conspiracy that wants to keep people from playing. All that “this is se-e-erious, Netta!” tends to do is alert me to incoming not-fun ideas. Hawaiians are supposedly notorious for developing the ‘alamihi-crab bucket syndrome. 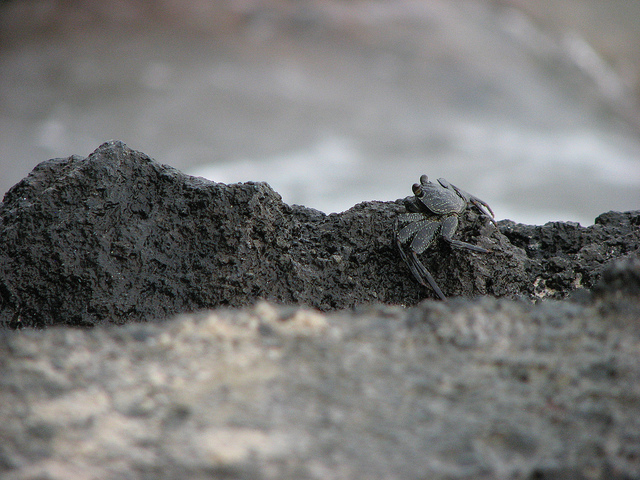 See, the little black ‘alamihi crabs are really tasty eating. To catch them, you set a bucket with an aku fish head or something in the bottom into the ground at night when they are most active. They jump in. The bucket keeps the crabs from getting out again because every time somebody tries to climb out (over the bodies of the other crabs), some other crab in the bucket pulls them back down. This is a metaphor for a human trait that seems to be ubiquitous. Hawaiians just got a bad rep because we made up the bucket ploy to catch the little ‘alamihi, I think. I decided I was not happy being an ‘alamihi. I didn’t like being in a bucket. I didn’t like my fate as somebody else’s dinner. I figured that the best thing I could do was stay out of the ‘alamihi bucket and help other people stay out of it too. Mostly that’s what I try to do. It’s a funny thing, though. When I tell people this premise, they tend to discount anything else I might say after that. Play has fallen into severe disrepute, it seems. The grasshoppers are losing to the ants. Too bad. All that ant stuff is really boring-looking. THE ONLY THING THAT ABIDES IS THE WAY I WALK. Everything is impermanent. That’s a given. So, I went looking for what actually abides — what stays when everything else goes wonky. The wise guys are right: the way you walk is the only thing that stays real. So….I walk and I keep walking one-step, one-step, one-step. I WALK THROUGH OTHER PEOPLE’S WORLDS AND NEED NOT TAKE WHAT THEY DO PERSONALLY. This one grew out of understanding that my world, what I see and what I feel, is just mine. Everybody else has their own world they see. Because we are all milling around in the same place, everybody else’s worlds impinges on my own. We are all connected and the connections pull at me when you move. Very little of what people do actually is about ME personally. They just live their lives and our connections and ties drag me around or trip me up as I’m trying to do mine. So…if that is a truth, then, it means that mostly I can just keep going on with what I am doing and duck when something particularly nasty comes heading my way. Not having to spend my days always angry or hurt about other people’s actions that trip me up sure makes it a lot easier to do my own walk. Don Miguel Ruiz is the guy who wrote the books about Toltec wisdoms, THE FOUR AGREEMENTS. This thing developed as I was learning to walk without my husband Fred in my world any more. When he died, it seems I was cut loose to go looking for a different kind of way of being that wasn’t so governed by Monkey-mind. Fred died in 1997, after we’d been together for 27 years. I still miss him a lot. But, I don’t think I’d be living my life this way if he were still alive. Silly grin all over his face? The stars stuck in them. At the brink of some cliff. Gamboling along all over his other foot? Awww…I know what the SMART ones say. Before they let the guy sit down. On his poor, balding pate. And they drown him in some horrid pool of yuck. Some choice that one is! I think I’ve got it right. Bet that fool’s got great balance. Bet HE knows how to fly….